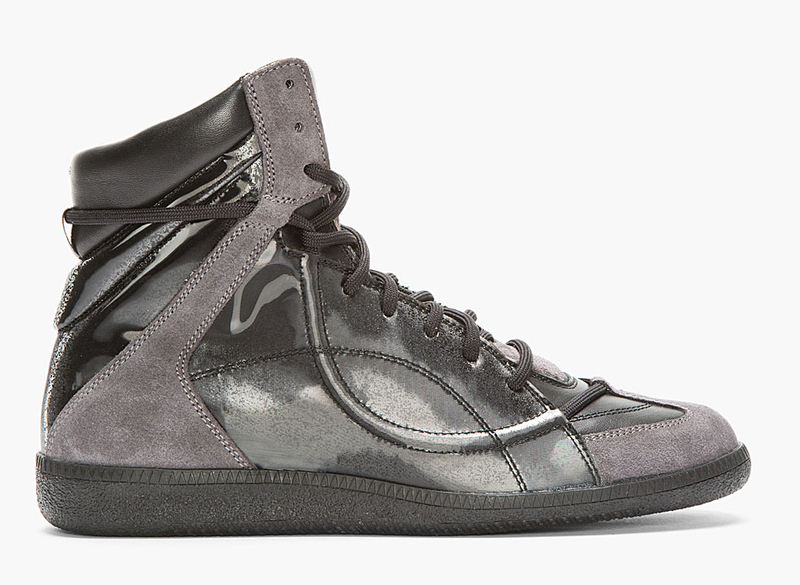 MMM's latest hightop takes on reflective panels to go along with their usual rich suedes and leathers. 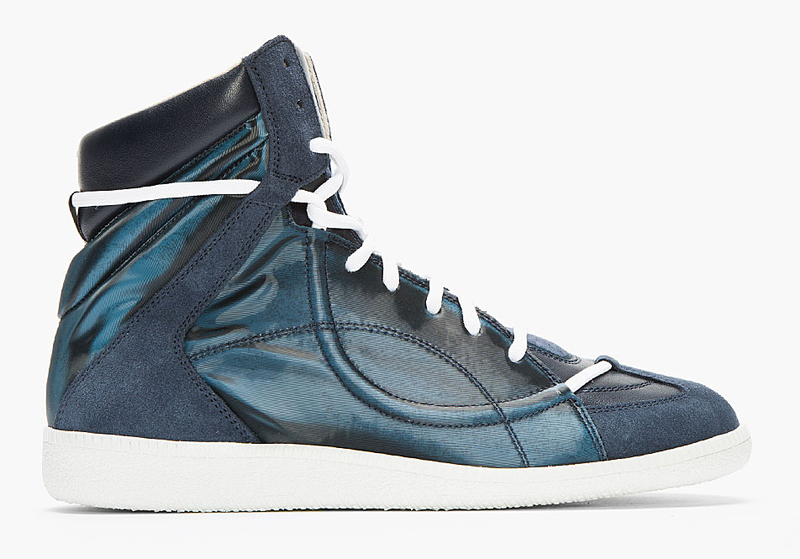 When it comes to higher end sneakers, not too many brands will get as funky at times as Maison Martin Margiela. 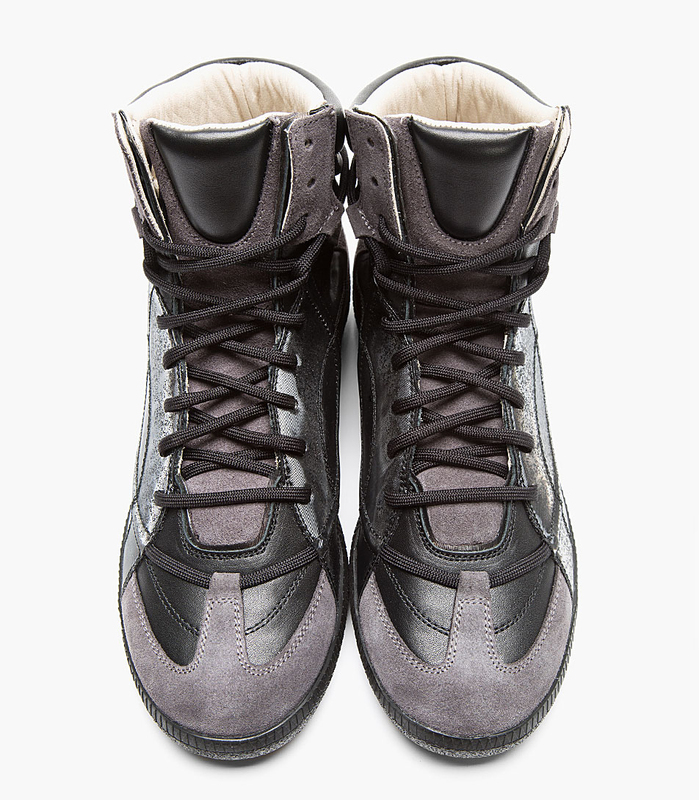 That can be both a good and bad thing of course, and in this case, their latest hightop not only features their swooping lace design, but also a reflective upper. 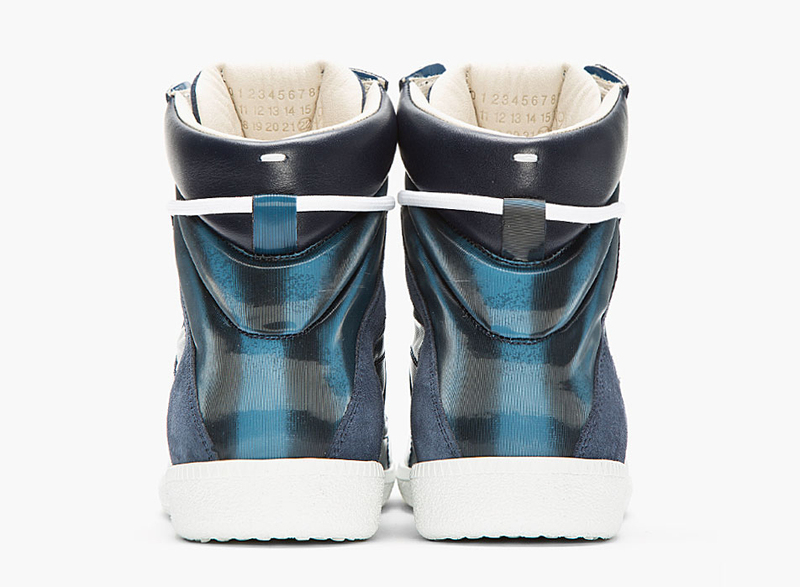 Available now in both black and blue for the sweet price of $785, they also feature suede overlays and a buttery soft leather liner.